A young camper sat at the table with a flurry of craft supplies spread around. She was quiet and moved slowly. She drew some blue lines on a blue piece of construction paper with the corners cut off. I ripped two pieces of tape for her and said it looked like there was some room on the counsellor’s back. Our time was almost up. She got up, navigated through the crowd, stuck her creation to the counsellor, and returned, all smiles. Doing things for the first time is not easy, making new friends is not easy, canoeing across a lake, setting up tents, starting a fire and making a dinner are not easy. Tacking your creation to the back of a camp celebrity is not easy. 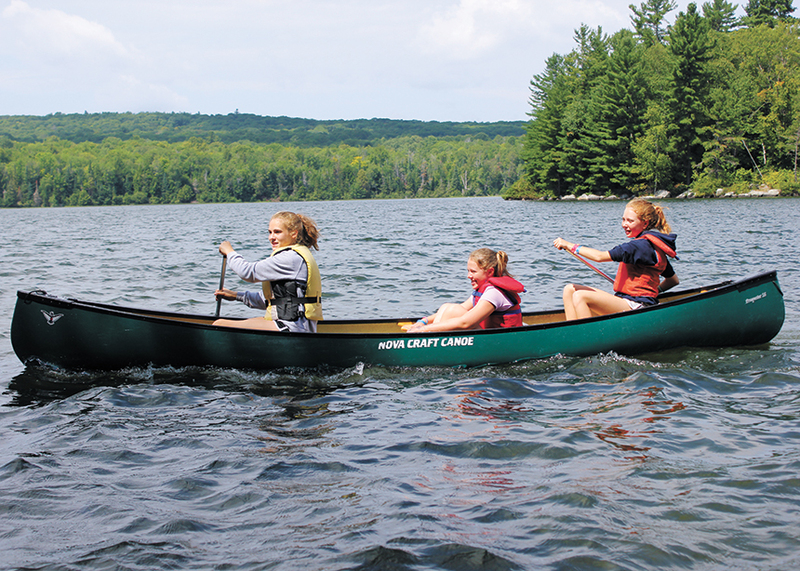 The value in having campers get into a kayak for the first time is not the fun they will have. The value is in growing confidence and self-esteem. The value in singing at campfire every night isn’t entertainment; the value is in doing things you feel shy or embarrassed to try and learning to forget the power of expectation. Nothing makes me happier than talking to parents, because the mission of a summer camp is such an easy thing to get behind. I am constantly reminded that my team is not just running some sort of children’s resort; we are partners in parenting with hundreds of families, creating space for children to grow and thrive away from home. Summer camps can be the most tangible experience children get of silly, judgment-free community, a niche which parents seem to be increasingly finding the value of.